FINANCE ME AT 0% 2018 Yamaha Sidewinder LTX DX The Sidewinder L-TX DX brings new meaning to the phrase 'have your cake and eat it too!' The L-TX DX boasts a larger fuel tank to accommodate those extra miles, a medium height windshield for good protection from the frigid winter winds and a heated seat for extra comfort. 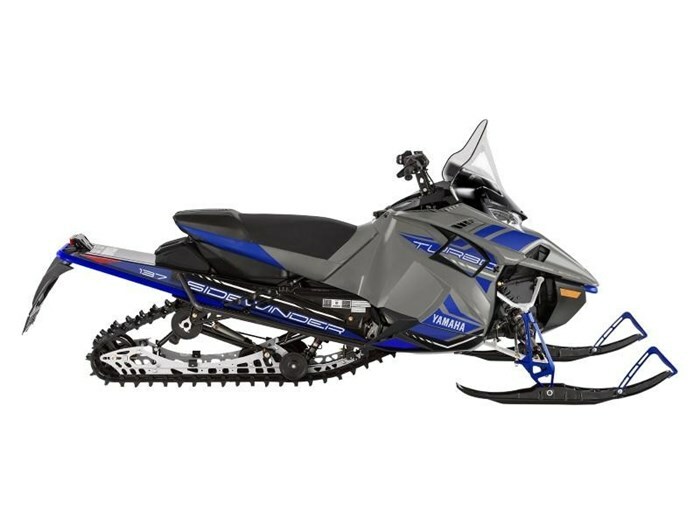 Powered by the industry's highest horsepower Genesis 4-stroke Turbo engine, this high achiever is ready to feed your adventure seeking hunger wherever the trails take you. 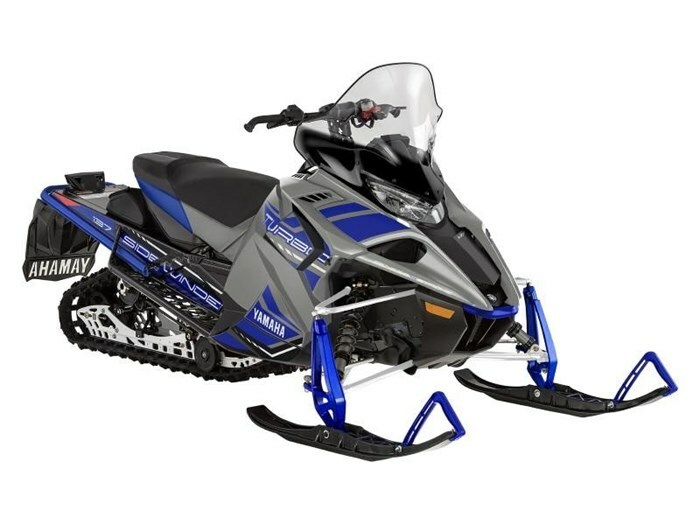 TOP FEATURES 998 Genesis Turbo Engine The turbo boosted, one liter triple is unmatched when it comes to delivering incredible power with the refinement and quality you have come to expect from a Yamaha. Designed around a premium turbo unit, every engine component from intake to exhaust, is dedicated to producing uncompromised performance. In only its second year in production the Yamaha turbo has earned the respect and reputation befitting the industry’s highest achiever. Truly this is the potent venom of a Sidewinders bite. YSRC High Performance Clutch System The YSRC primary and roller secondary clutches were specifically designed for durable, cool operation. They harness and transfer the massive torque produced by the Genesis Turbo, efficiently to the track while minimizing drive belt wear. The primary shifts out aggressively to use all the power on tap while the roller secondary is quick to back-shift and provides additional ratio through its oversize sheaves to keep accelerating long after the others have signed off. Dual Shock SR 137 Rear Suspension The Dual Shock SR 137 rear suspension is the cumulative result of years of punishment and development in snocross and cross-country competition. Utilizing a 'free-acting' front arm which effectively couples to the rear arm under torque loads while letting the front arm float to follow the bumps, keeping the skis firmly planted. This is accomplished using a U-shaped slot on the leading arm that fits over a fixed mounting shaft to allow a limited amount of free sliding movement. This features offers the best of both uncoupled small bump compliance with optimum coupled weight transfer control. EBRS Engine Braking Control The effect of 4-stroke 'engine braking' when the throttle valves are closed has a significant impact on handling and ride character. Yamaha developed a special system which employs the ISC (idle speed control) circuit and ECU map using throttle valve movement and RPM information to reduce negative intake pressure during deceleration. Large Fuel Tank The Sidewinder's generous 10 gallon / 38 liter fuel tank serves more purposes than just carrying a day's worth of fuel. It also cradles the battery and is the platform for the quick-release trail seat. The ever-changing fuel load is carried low and rearward, helping centralize the overall mass and balance of the sled.